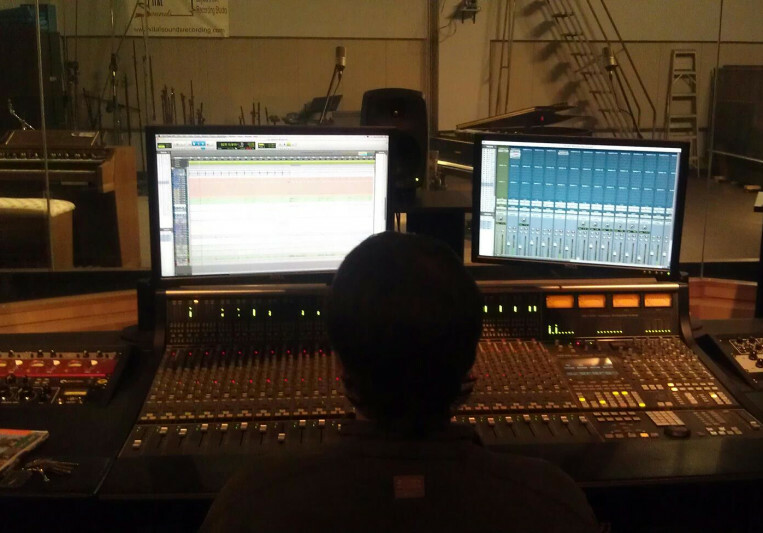 New York based Recording and Mixing engineer. Loyola University graduate with years of recording experience and an excellent, creative ear. My tracking experience comes from working commercial recording sessions at Vital Sounds Recording Studio and Marigny Recording Studio in New Orleans. What's most important to me is taking care to choose the right microphones and gear for the most appropriate sound. I apply the same meticulous attitude to my mixing and editing work. I have an expert knowledge of Pro Tools, Presonus Studio One, and a variety of hardware and software processing tools. A: There's a particular mix that I did for a band called Naughty Professor that I'm incredibly proud of. The song is "Six Paper Joint" off of their debut album, "Until the Next Time". These guys are my friends, and I'd been to many of their shows where they played this song. They asked me to help mix some of their record, and it was a total pleasure working with them on music that I enjoy. With this particular song, I felt like I really helped capture the energy of their live performance in the mix. It was also difficult balancing the wishes of all the members of the band, but in the end I believe we came up with something everybody was incredibly proud of. A: Digital is accessible and enables people to make incredible music that may have not had that opportunity in the analog world. I think it's incredible that so many people have a means of creative expression now. A: I promise to stay true to my clients' vision, to do the best and most thorough work I possibly can, and to deliver when I say I will deliver. A: I like the freedom to be my own boss and the opportunity to earn a living while exploring my creativity. A: What do you want your project to sound like? Can you give examples of music that has inspired you sonically? Are you looking to capture a performance or build a masterpiece? A: Talk to a few people. Find out who you can trust, who is passionate about the same things you are, and somebody you can have a casual conversation with. It doesn't matter how much experience someone has or how "good" someone is if you can't get along. A: I began my audio career as a student at Loyola University New Orleans. There I became heavily involved in the University recording studio and live sound. I began doing commercial work while in school, and interned with a few different recording facilities in town. When I graduated, I split my time between Marigny Recording Studio and working live sound at local venues, festivals, and other productions. I've been working as a freelance audio engineer ever since, for about 6 years. A: I'm a supporter. As a musician and engineer, my focus is never to be the star of the show, but to use subtleties to make the music really shine. A: Working with D'Angelo would be a dream come true. He is an incredible artist, and to see him create would be a glimpse into greatness. The sounds and textures he and his producers create are so intriguing to me. A: Let the music speak for itself! And take notes on everything. A session log will save your life when you've got a patching issue. A: I love and work with many different styles of music, but most frequently I work on Funk, Jazz, and Singer-Songwriter projects. A: My ability to work with Pro Tools is incredibly developed. I'm incredibly organized, I never lose takes, I make sure everything is clearly labeled, my edits are clean and quick, and my mixes are simple yet powerful. When I pass off my work to the mixing or mastering engineer, they know they're getting something they can understand and easily pick up where I left off. A: I find what it is in the song that I emotionally connect with and emphasize it. I don't think of myself as somebody who puts "my sound" on somebody else's project or music. Through my unique experience I've found ways to accomplish certain sonic goals, but I'm always listening for the best way to connect with the audience. A: I start every project with an evaluative conversation with the client. I need to know exactly what their needs are and how I can be of service. If I'm recording, I find out exactly what we're tracking and I set up the studio before the client arrives. If I'm mixing or editing, I find out what needs the most attention and tackle the problem areas first. My goal is to achieve a great product quickly and efficiently. A: Right now I'm particularly inspired by Jack Stratton of Vulfpeck. Their material is so good and the production is quirky and instantly recognizable, but really innovative and enjoyable to listen to. Above all, Jack's production never gets in the way of the incredible musicianship displayed by him and his band. 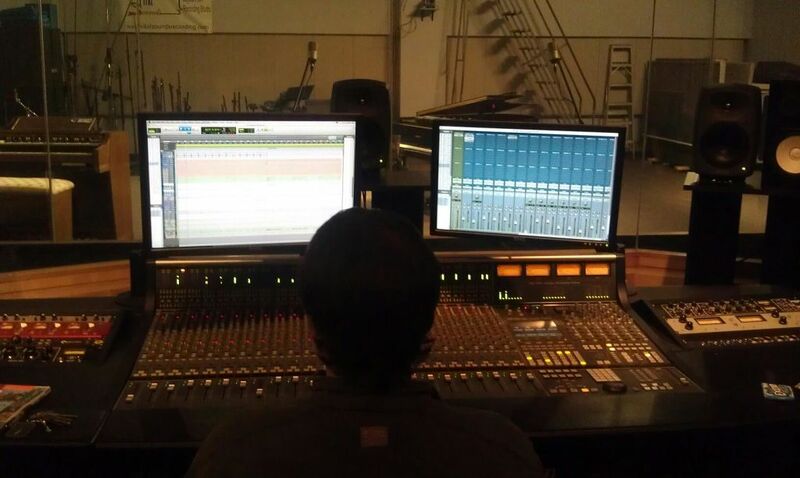 A: I am commonly hired to do live recording and mixing. One company, Munck Mix, hires me to mix and master on site recordings at regional festivals such as New Orleans Jazz and Heritage festival and Wanee Music Festival in Live Oak Florida. Last year at Wanee, I was lucky enough to mix a set performed by the Warren Haynes Band. Everything is negotiable. I'm sure I can help you.